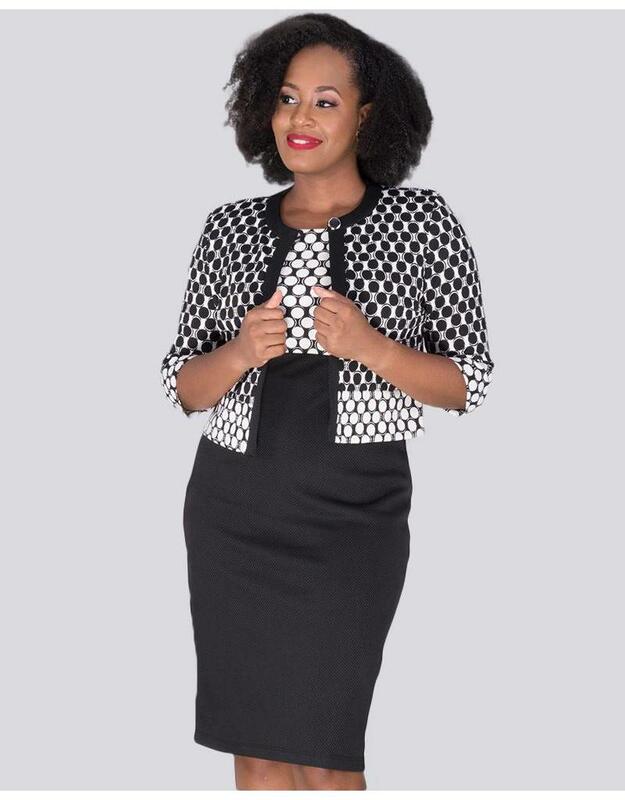 Polished to perfection, this two pieces gives you plenty of options for your calendar of events. 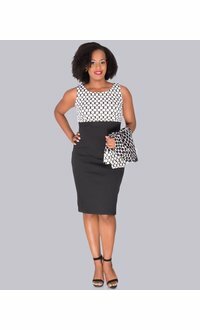 The dress features a two tone look with a printed bodice with round neckline, sleeveless design, fitted waist and a sheath silhouette solid coloured skirt that ends just at the knee. 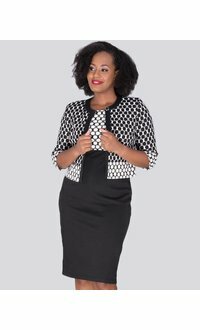 Stylishly paired with this open concept jacket that features three quarter sleeves, round neckline line and a fit just below the waist. Pair this duo with accessories from our collection to meet your event needs.